UPDATE: Read our August Villains 2 Loot Crate box review to see all the items in the Loot Crate August crate. 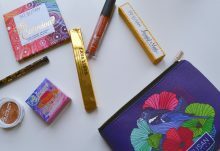 Want a peek into September’s Loot Crate? 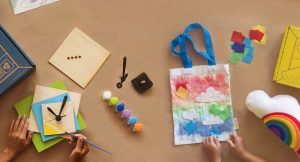 The Loot Crate September theme has been revealed! 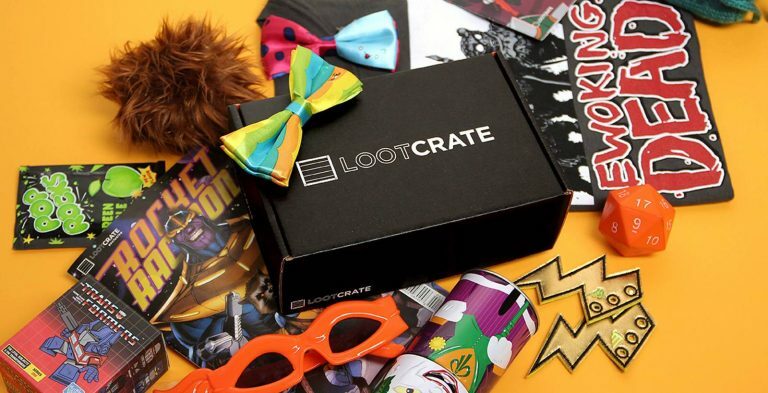 Every month, Loot Crate chooses a new theme for their monthly geek + gamer subscription box. Loot Crate has just revealed the August 2015 Loot Crate theme. We also have our first August Loot Crate box spoilers and the contents of the Loot Crate August Mega Crate. 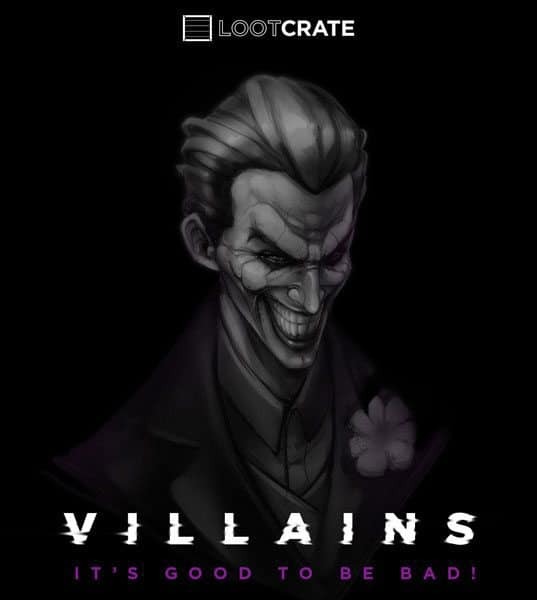 The Loot Crate August 2015 theme is VILLAINS 2. Following July’s Heroes 2 Loot Crate, the August Loot Crate Villains 2 box will have geek and gamer gear and collectibles that feature epic villains that challenge our favorite super heroes. 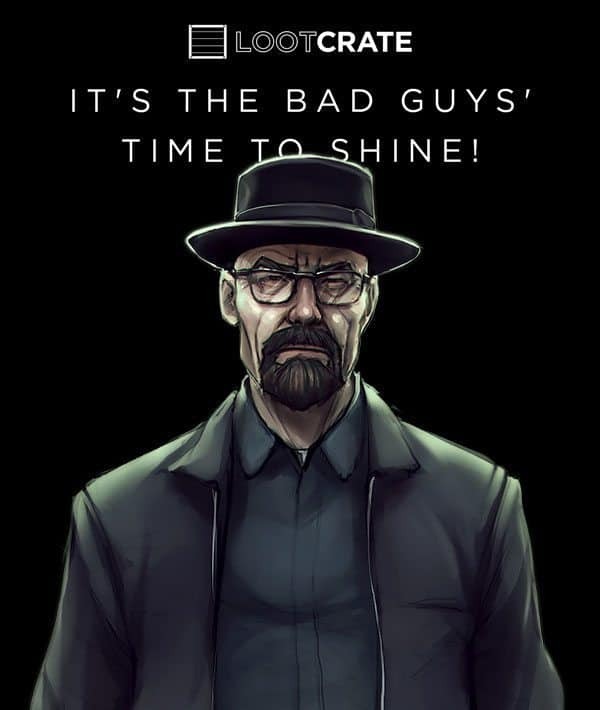 Get ready for the strike back, the revenge, the evil electric boogaloo! This month, join us as we cower in fear at the return of the VILLAINS! Whether they’re terrifying or tragic, something about bad guys and gals is just plain fun. Probably the snazzy outfits, army of henchmen and totally relatable “treat yo’ self to some sweet loot” attitude. 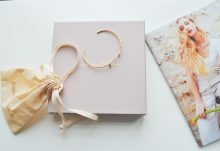 We also have our first August 2015 Loot Crate box spoilers! The Loot Crate Villians 2 geek crate will have an EXCLUSIVE DC Comics Figure, a unique wearable that’s never been in a crate before, and items from Marvel Comics. One Loot Crater is randomly selected to win an amazing Loot Crate Mega Crate every month. 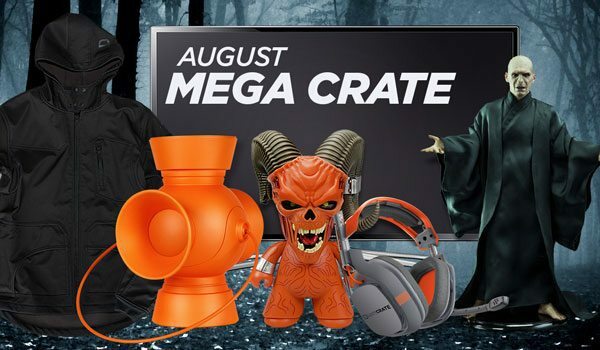 The August 2015 Loot Crate Mega Crate is worth over $2,500! Sign up for August’s Villian’s 2 Loot Crate to be automatically entered to win the August Mega Crate! To reserve your Loot Crate August Villians 2 box, join Loot Crate by August 19, 2015. Save $3 off your first Loot Crate box when you use coupon code NEWS3 or use codeFINDBOXES to save 10% off any Loot Crate subscription. It looks like the Villians 2 Loot Crate will have at least a Joker item (perhaps related to the upcoming release of Suicide Squad?) What do you think about the August 2015 Loot Crate theme?